Free Cordless on Cellular, Roller and Shangri-La During September and October! Energy Efficient - honeycomb pockets trap the outside air from entering your room. Offering increased shielding against heat loss during the winter, as well as minimizing the sun's heat or "solar heat" during the summer. 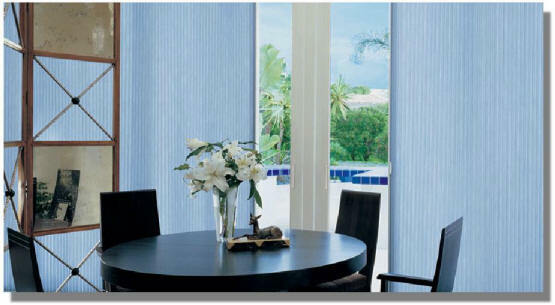 Recent advances in manufacturing technology allow us to offer the popular cellular shade with even more features—like cordless control. 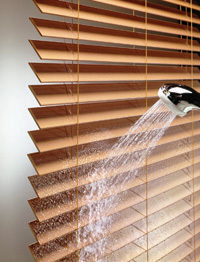 Our shades include a removable clear handle for easy lifting and lowering. No more unsightly fingerprints and smudges on the rail! -composite technology that’s guaranteed not to warp, fade or crack. Available in a wide selection of colors, stains and finishes, and include: 1) Slats in either 2-inch or 2 1/2-inch widths, 2) A color-coordinated 3 1/2-inch valance and 3) Braided ladder construction. 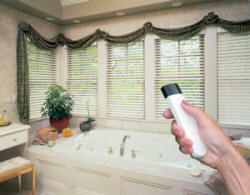 These blinds offer the look of genuine wood at a more economical price. 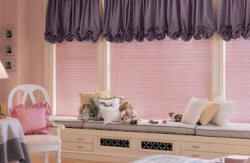 We have a unique collection of both vertical and horizontal window shades that incorporate the best aspects of draperies, shades and blinds into one classic and elegant window treatment. 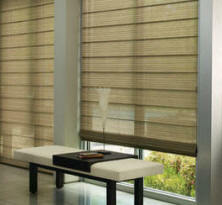 The horizontal window blind of this collection has fabric vanes suspended between sheer fabric facings. 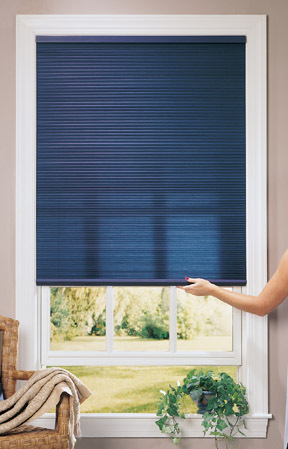 You can tilt to control privacy or the amount of outside light filtering into your room. 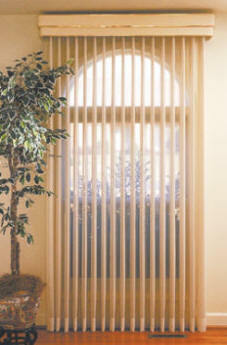 We will install products that will give you peace of mind, knowing your investment will last a lifetime. Arrow Window is now exclusively a Shop-At-Home Service Company ! Protect your home or office from unwanted intrusion, ask us how. 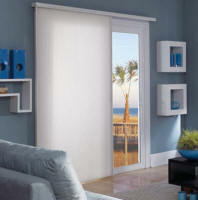 UV Ray Safety with Retractale Awings or Solar Shades.